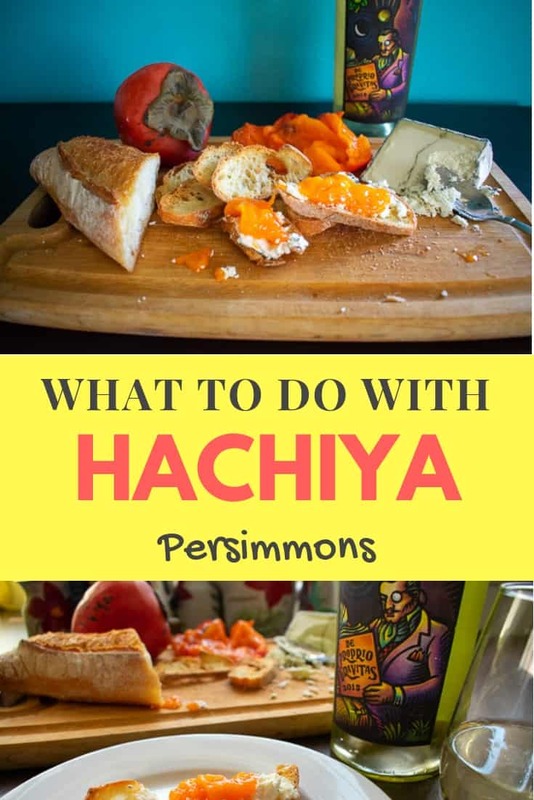 What to do with those soft and squishy Hachiya persimmons? 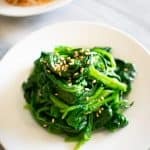 Besides eating them plain, you could try this simple but unusual recipe the next time you need an appetizer or snack with your white wine. Goat cheese plus fruit preserves on a toasted baguette slice is a classic combination and common hors d’oeuvre passed at cocktail parties. The fruit, however, can often overpower any wine if too sugary. In this version, the Hachiya persimmon adds a slight sweetness while still being muted enough to pair with a soft, Rhone Valley style white wine. Hachiya persimmons are the squishier cousin of the firmer and smaller Fuyu persimmon. Hachiya persimmons feature heavily in Japanese and Korean desserts and are often dried. They should be completely mushy before eating otherwise the flesh is far too astringent to swallow. To eat, the skin can be easily pierced with a spoon to scoop out the flesh. The large, white seeds inside should be discarded along with the skin. Humboldt Fog Goat Cheese produced by the Cypress Grove cheese company is a legendary cheese from Northern California. One of the first soft-ripened goat cheeses produced in America, it paved the way for more American French-style cheeses to come. The cheese is coated with an edible vegetable ash to preserve the rind and fend off toxins. The penicillium candidum mold also ripens from the outside in and makes the cheese tangier as it ages. The flavor is reminiscent of fresh cream and buttermilk and weighs in at an impressive $24.99 per pound. The archetypal wine pairing for goat cheese is a Sauvignon Blanc, a la the French Rhone Valley. 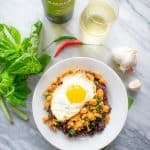 This Bordeaux style blend composed of 64% Sémillon and 36% Sauvignon Blanc is from the famed Bonny Doon vineyard in the Santa Cruz mountains of California. Started in 1983 by Randall Graham, it was one of the first wineries to embrace Rhone varietals. The wine is at once crisp, soft, and slightly acidic. 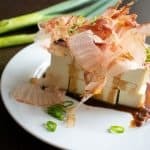 It pairs well with the creaminess of the goat cheese and is not overpowered by the subtle sweetness of the Hachiya persimmon. Try picking up some Hachiya persimmons the next time you see them. Pair with a Humboldt Fog Goat cheese and Bonny Doon white wine too if you please. 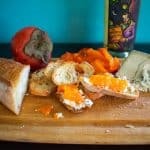 The Hachiya persimmon adds a slight sweetness to the goat cheese, while still being muted enough to pair with a soft, Rhone Valley style white wine. Preheat oven to 350 degrees. Spread baguette slices on a sheet pan and toast for 3-5 minutes until crisp. 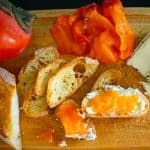 Carefully spread goat cheese onto each slice of bread. Pierce the hachiya persimmon with a spoon and gently scoop some of the orange flesh on top of the goat cheese. Be careful not to pick up any of the skin or white seeds. 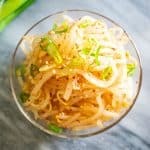 This recipe should be made and set on the appetizer table to be consumed immediately within a few hours. If you store it in the fridge, the toasted baguette may become soggy. If desired, you can spread olive oil and salt onto each bread slice before toasting for additional flavor, but it is not entirely necessary.